SKU: PW06-3000. 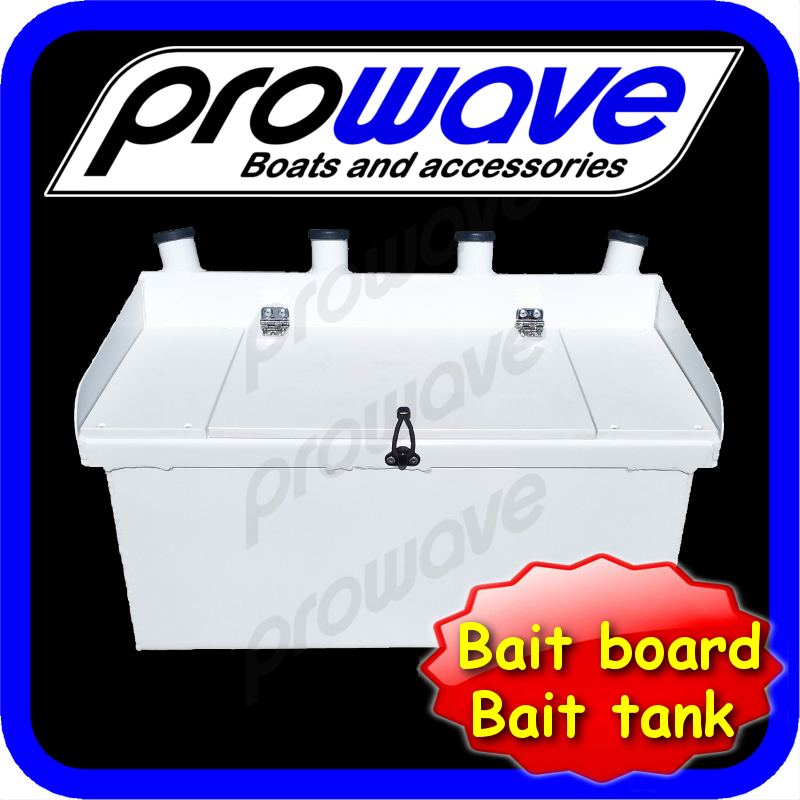 Categories: Bait board Bait tanks, Bait Boards, Boat Options, Centre Consoles, Live bait tanks, With live bait tank. 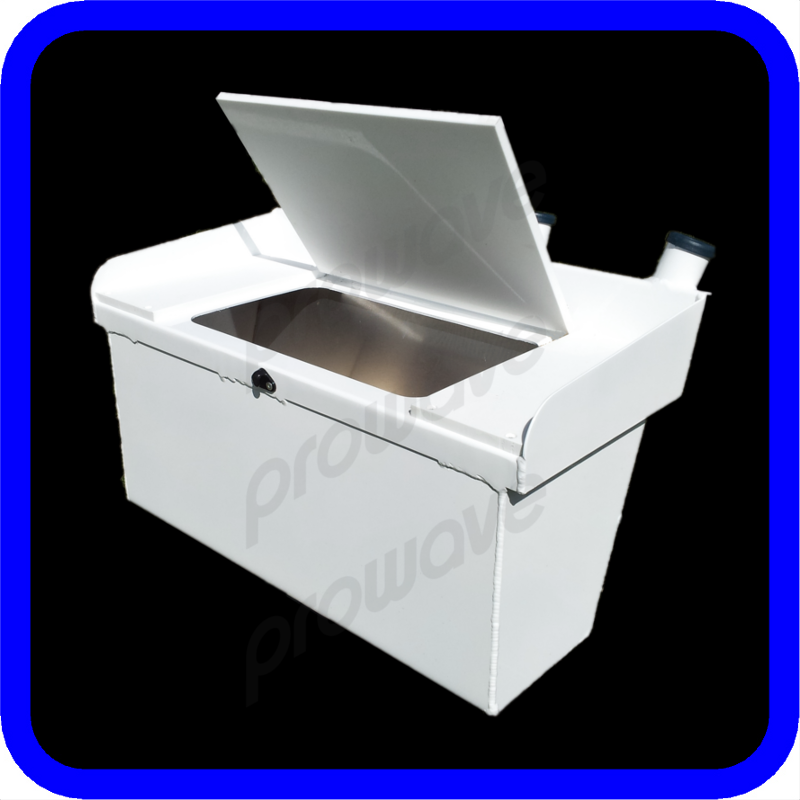 Designed specifically for bolting to any trailer boat, fiberglass or aluminium. This bait board is constructed of marine grade aluminium. 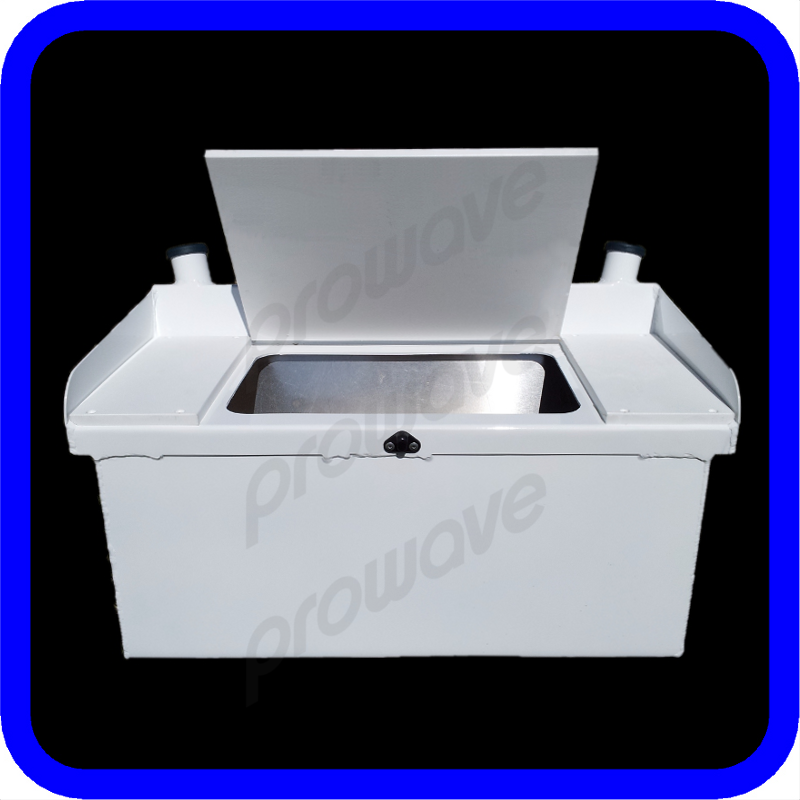 Ideal for years of marine use. Drill your own holes to suit your boat. 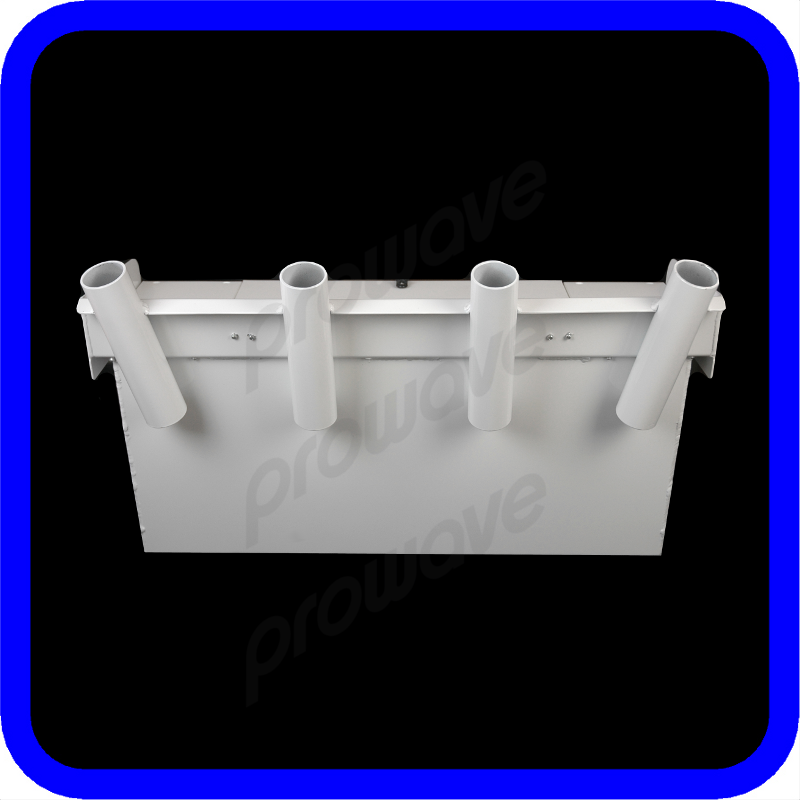 Now comes with two 50mm x 6mm thick flat bars welded to the outside of the bottom of the tank for easy mounting to the boat. 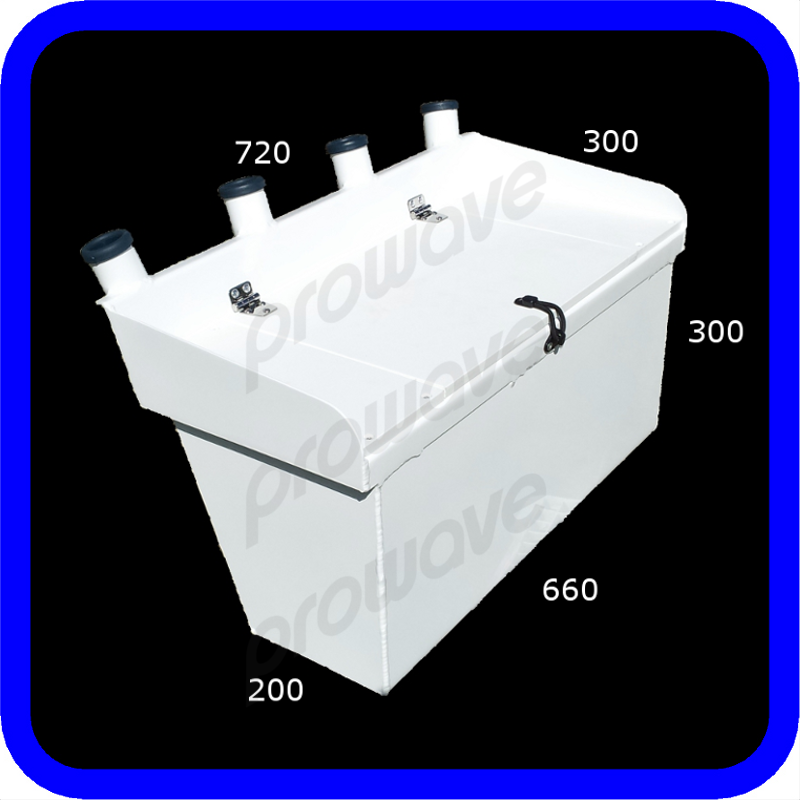 Overall width of the tank is now 665mm with the two flat bar mounting plates. Live bait tank plumbing kits available in our store to suit.